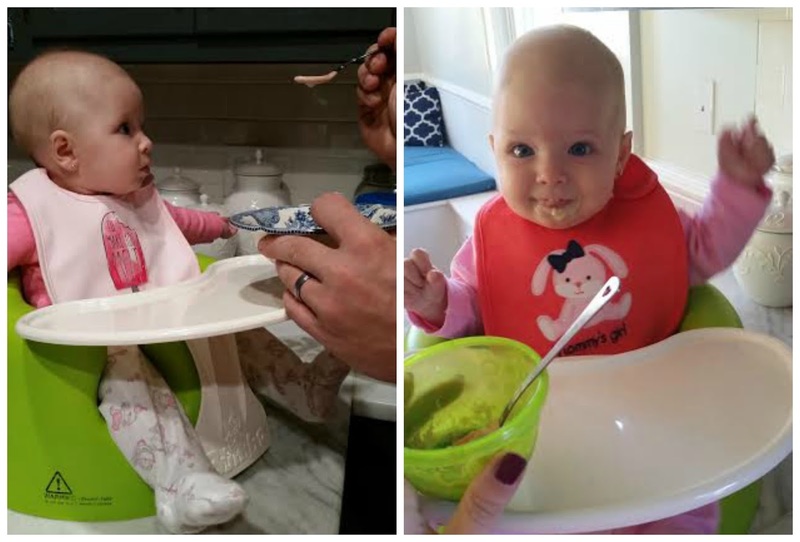 When doing research on how to begin this new food journey, I came across April's post at A.Liz Adventres about feeding her baby around the same age. She gave the best review on the Baby Breeza and I thought, "Hey, I think I can handle that!" I went to Target and snagged the last one they had on the shelf. Ya'll, it is SUPER simple and you do not need to be a SAHM with unlimited amounts of time- I promise! This baby steams and blends in one, making it so easy to use. A lot of other processors or blenders don't have that built in steam feature. Chop up your fruit, veggie or meat, press how long you want it to steam and blend and literally walk away. You can do whatever else you need to while the Breeza works its magic. When it is done, it will beep loudly and go into the blend feature. Afterwards, I let it cool and then keep some fresh for Miss A to devour and also freeze some for later. 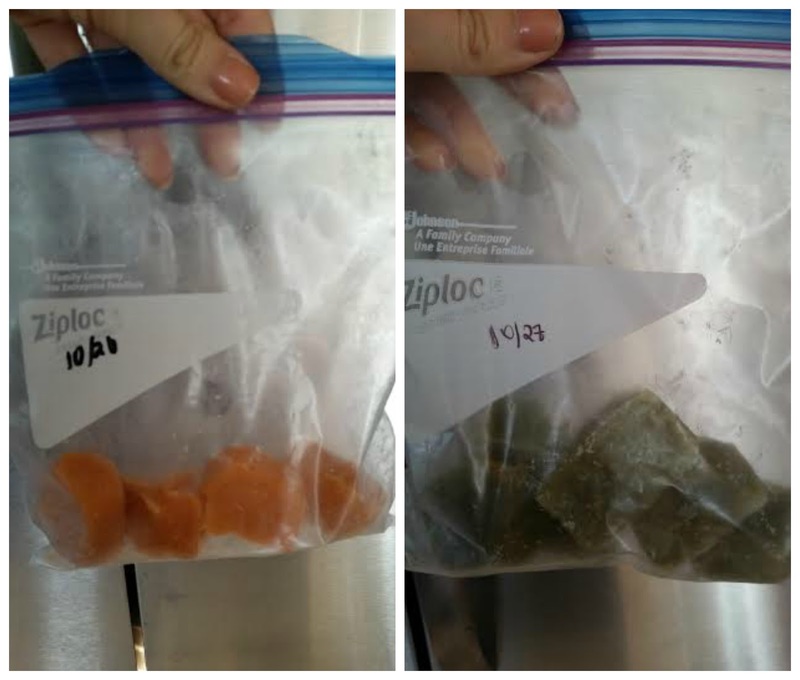 I just use ice trays and Ziploc freezer storage bags and it works like a charm. I mean hey, at least you know exactly what they are eating this way! The Breeza also comes with a fabulous recipe book and detailed instructions on steam time, etc. 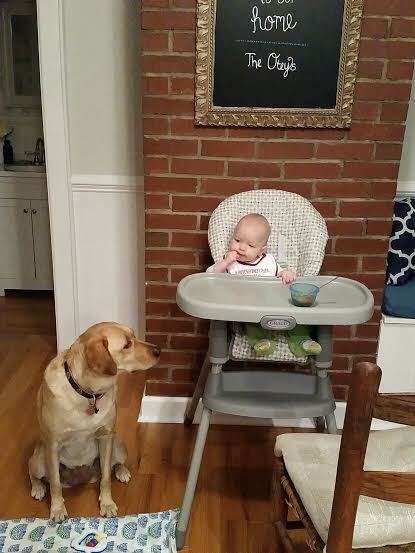 So far there hasn't been a food that Miss A doesn't enjoy. She is SUCH a fabulous eater and we have really been lucky with her. I've made green beans, carrots, red potatoes, sweet potatoes, applesauce, ground turkey, avocados and I also mix a lot. I'm pretty sure the only terrible face she has made thus far was with bananas! We need to try those again! 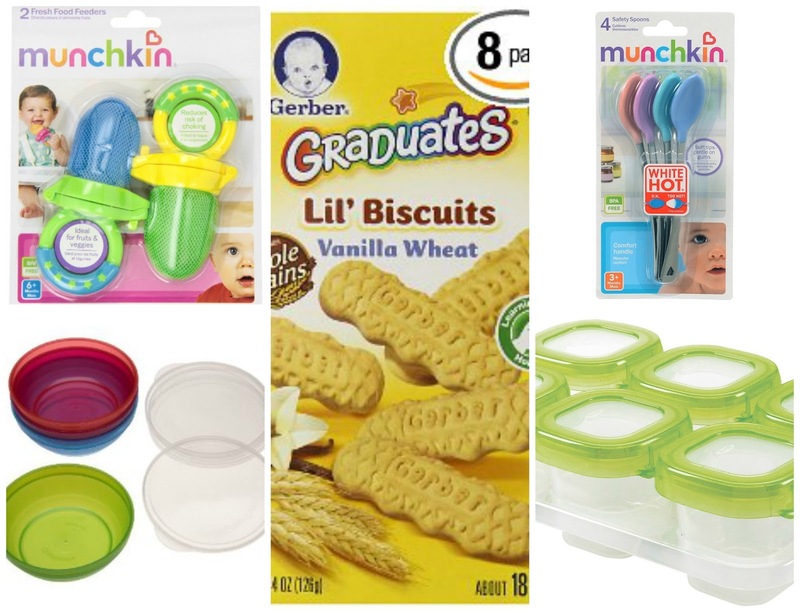 She also has fortified oatmeal with some breast milk in the morning that comes in a variety of flavors like peach, apple, banana etc from Gerber. Anyway, so far so good and she is growing like a weed. I'm excited to try new foods with her but can time please slow down? Let me know if you try it and like it or if you have any questions! Also, any tips on sippy cups and liquids would be greatly appreciated! Products we love! She goes to town on those lil' biscuits in her mesh feeder! You are a rockstar, mama! I've heard great things about making your own baby food and will definitely be saving this post for when the time comes. <3 you! 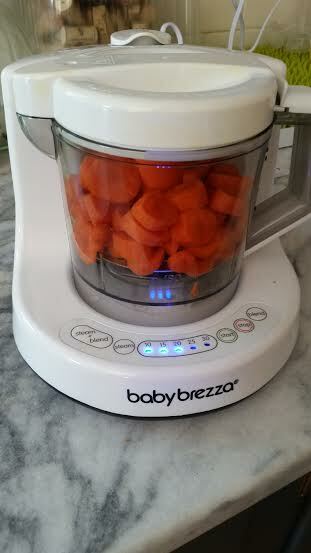 That baby brezza sounds awesome! 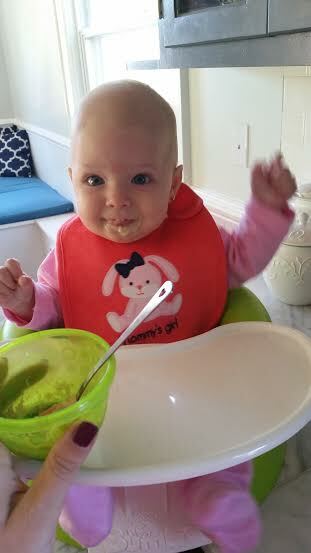 We are going to start solids this weekend. He's had rice cereal and loves it and he is definitely ready to try some new foods. Thanks for the tips girl! Please remind me of this when I have a kid and want to do this! It sounds and looks really easy! We skipped sippy cups since they can be bad for moral development. We used these instead: http://www.amazon.com/gp/aw/d/B006GYLL8Y/ref=mp_s_a_1_fkmr0_1?qid=1446741930&sr=8-1-fkmr0&pi=AC_SX110_SY165_QL70&keywords=advent+soft+spout. Liam learned how to use a cup very quickly. For on the go we used straw cups once he figured out a straw. That sounds so easy! Definitely something to remember for the future! By far the only cup that's worked for us. The only one that doesn't leak!! It took Tilly awhile to get the straw thing down, but I also didn't push it too hard either. Oh wow, that sounds so easy! 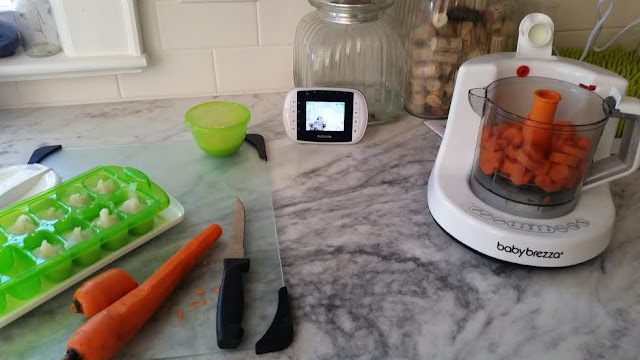 One thing I never did was make our kids' food, because it seemed so intimidating. That thing makes it sound like a breeze for real! 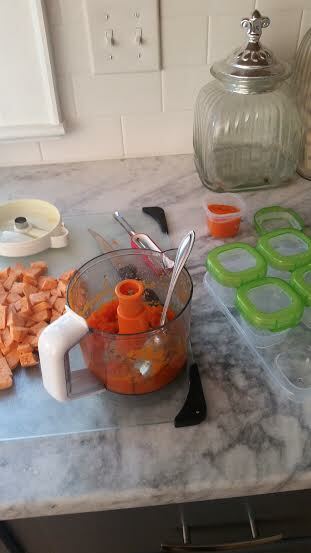 I loved making Walker's baby food! His favorite were pears and peas. When we started introducing liquid, it was just a tiny bit of water and then whole milk when he was 1. He never really liked traditional sippy cups, so I just gave him a straw one and he loved it! I did the Munchkin Click-Lock ones and they worked (and still work) really well. He also started using the Camelbak when he was about 1.5 and loves that, too! I made all Harper's food also & loved it! When the time comes, you should definitely look into putting the food into the pouches for easy transport/freezing. Harper loves squeezing them out herself! You go girl! I'm glad Andi is doing so well with her eating! That Breza thing sounds pretty awesome! !